Front Top Wishbones, Tig welded from high grade seamless tube. For use with our unique rapid camber adjustment facility (camber adjusters included), and our own upgraded polybushes (not included). 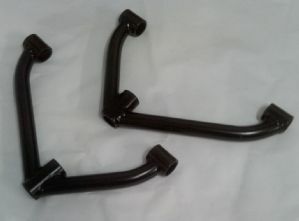 Picture shows wishbones for our own GTs40 replica kit, but, we can manufacture versions to fit on other makes of replica GT40 (see drop down box). 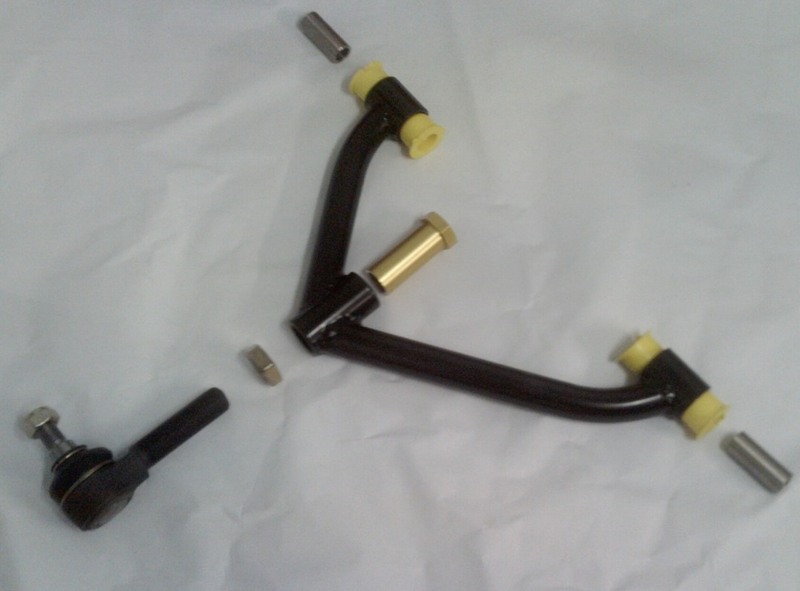 Picture shows wishbones powder coated but polished chrome plating also available (see drop down box). Second picture shows exploded view of total wishbone assembly.